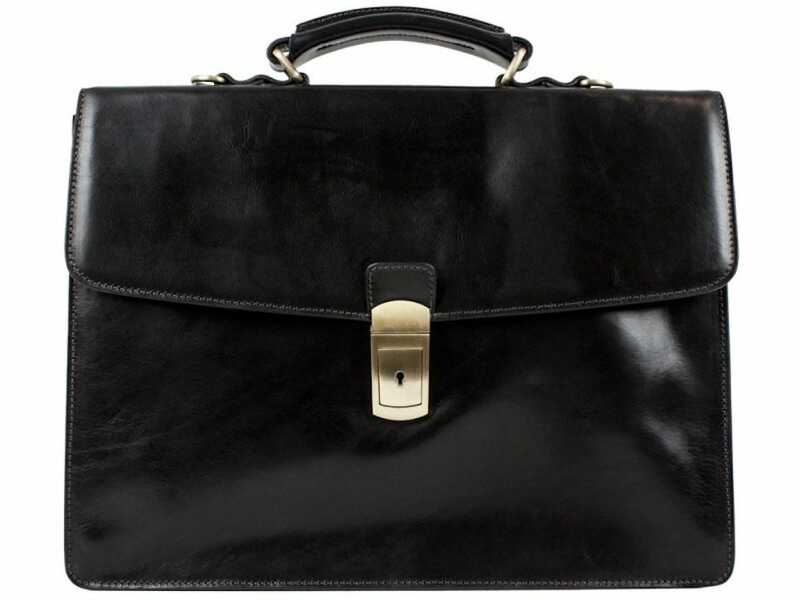 Even after all these years, a briefcase still adds a certain touch of class to your working day. Unlike a backpack or messenger bag, it looks like you’re a “true” professional and carries gravitas when you head into a conference room. If you work in a formal industry like law or business, it’s important to look the part. 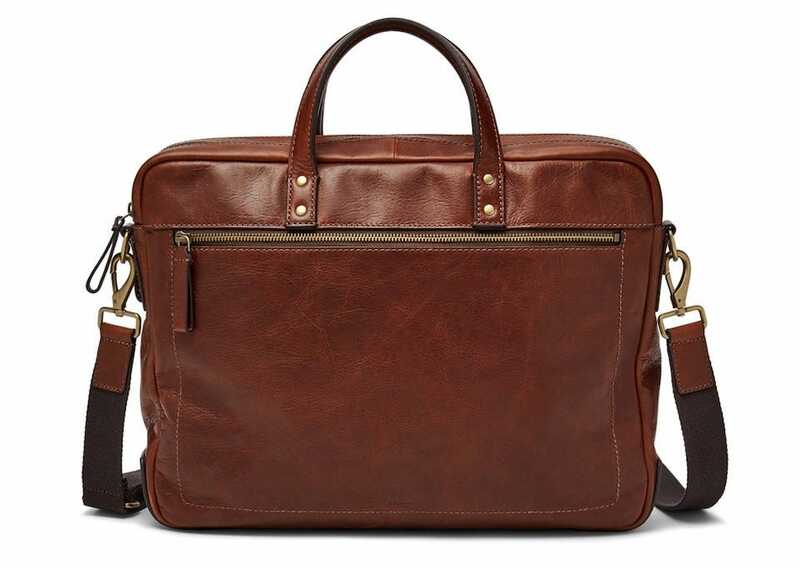 Unlike messenger bags, briefcases are meant to be carried via a handle rather than a shoulder strap—ostensibly to keep the wielder’s suit crisp and unwrinkled by the strap—but the convention of the strapless briefcase is slowly going by the wayside. Like any item that’s visible to others, you want something that matches your personal style. We’ve focused on classic looking briefcases here. The kind that will never go out of style because they have a timeless quality to them. Sure, you’ll have to pay for the privilege but these are cases that will last you a long, long time. We’re talking your entire working life in some cases. Pun not intended. Here are the best classic briefcases for you. In need of something hard wearing but stylish too? 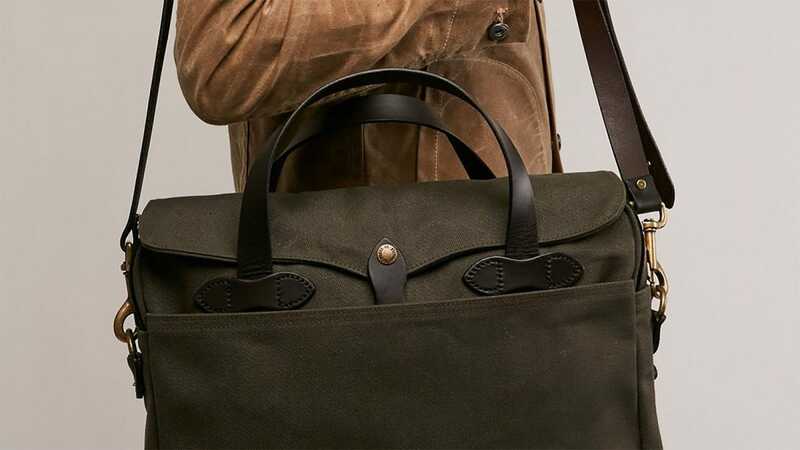 The Filson Original Briefcase looks the part in many ways. Made from 22-oz 100% cotton oil finish Rugged Twill with 100% genuine bridle leather, it’s both timeless and able to withstand daily living. You want timeless? This is it. Filson has been making leather and canvas bags since the days of the California Gold Rush. The styling of their bags is sharp looking today as it was over a century ago. It might be from an old company but that doesn’t mean it isn’t crafted with modern considerations. The main pocket is substantial enough to store a 17″ laptop or numerous papers. A two way brass zipper keeps it secure, with leather pulls and a storm flap for protecting your stuff if it rains. The case includes 2 full length interior open pockets, 1 interior pocket for storing business cards, a place to store your cell phone, as well as two full width exterior open side pockets, and another couple of end utility pockets. There’s plenty of flexibility here for storing all your important business tools. It’s traditional in many career fields such as law to buy the person a briefcase when they first qualify. 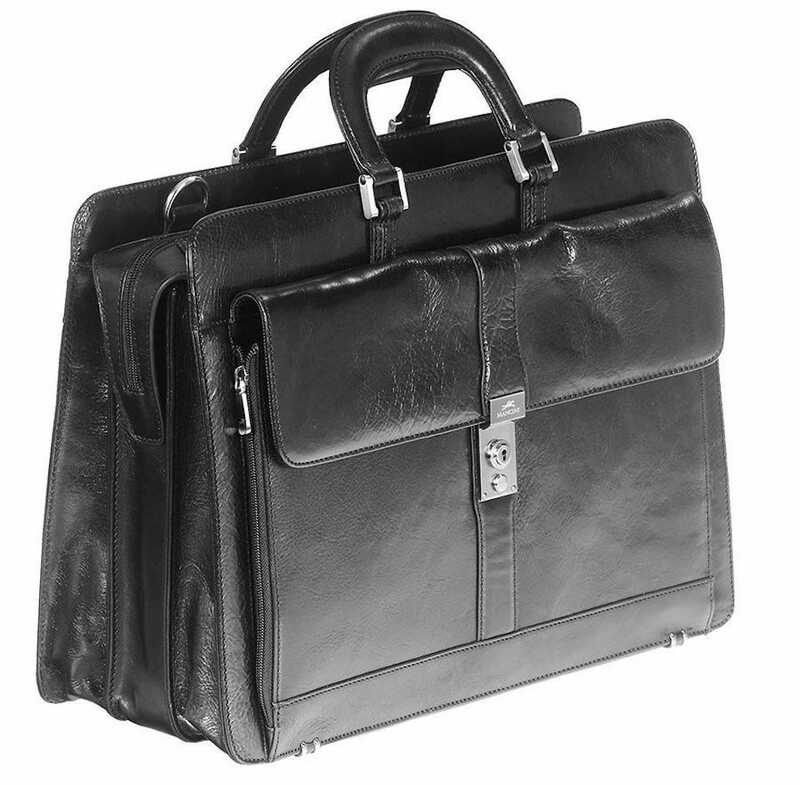 You want that gift to be particularly special and the Mancini Signature Italian Briefcase certainly fits the bill. 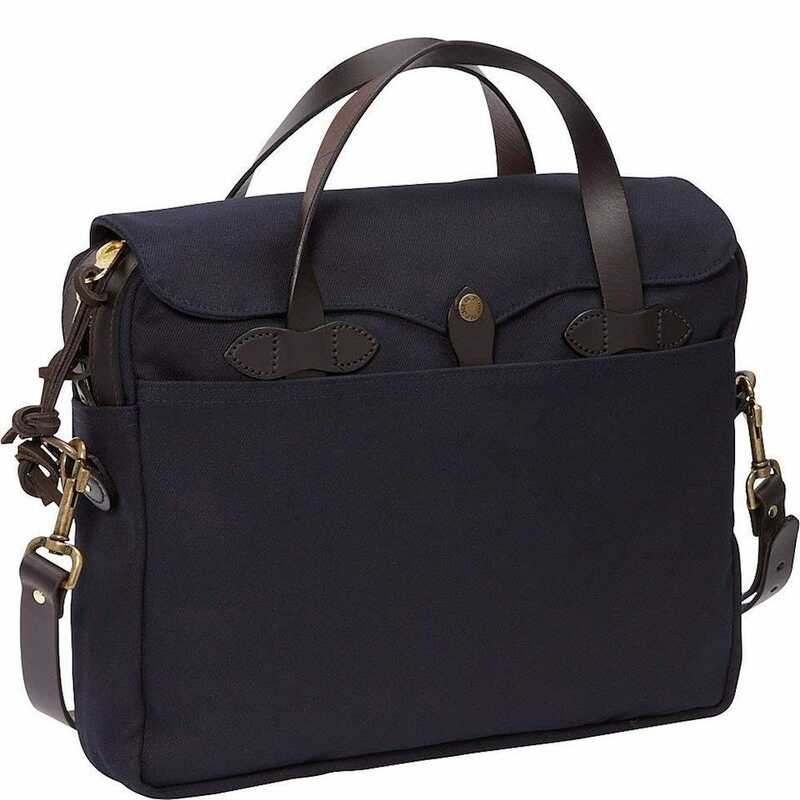 It offers a classic style that looks exactly how you would imagine a briefcase to look. Made from fine Italian leather, it’s quite elegant. 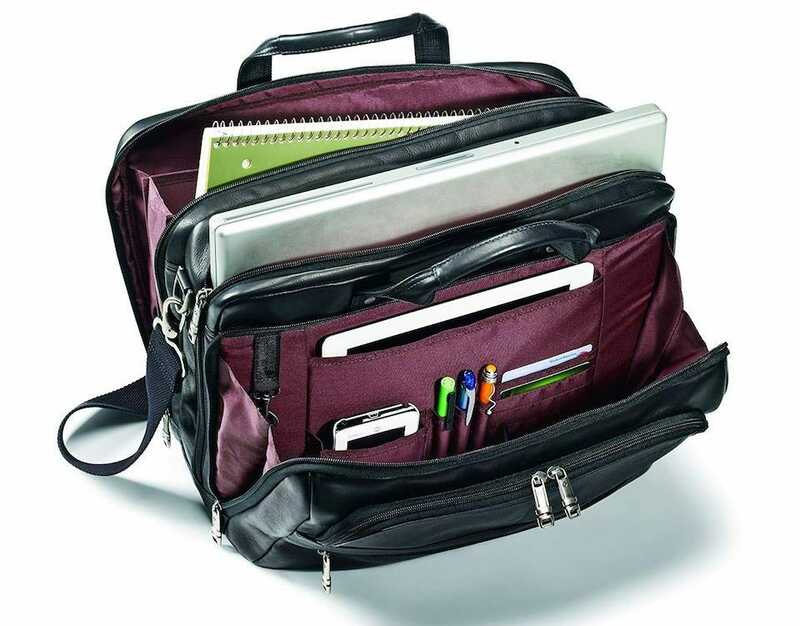 There’s a padded compartment for storing your laptop, along with a zippered front organizer for other items. The case features a divided section so if you carry legal documents, you can easily separate them from anything else you carry. There’s a zippered pocket on the back too to toss in anything that you might need in a hurry. It’s all pretty well designed as well as classy looking. No briefcase listed here is cheap by any means, but the Saddleback Leather Co. Classic Leather Briefcase sports a price tag that’s a bit more than most people would think about putting down for a briefcase. Fortunately, it’s worth every penny. Oozing class from the outset, it’s made from 100% full-grain leather. For the unfamiliar, that’s the top layer of the cow skin which is also the most expensive and durable part. That ensures that this case is a much higher quality than regular genuine leather. As time goes by, the leather becomes more soft and supple. It’s hard wearing too, with solid metal hardware and Saddleback’s “no breakable parts” design, which forgoes plastic snaps, clasps, and zippers in favor of traditional fastners. With that kind of solid construction, it’s no surprise the company offers a whopping 100 year warranty—they’re confident the bag will outlive you. On the inside, the lining is made from tough but soft pigskin that’s even stronger than the full grain leather exterior. There are 4 interior pockets, 2 exterior side pockets, plus a rear pocket too. An inner extra flap of leather works as a false bottom to hide any valuables you may have. There are D-rings for tethering extras items, too. It’s a really well thought out bag that you could genuinely pass down through the family over the years. The problem with a lot of briefcases is they’re pretty heavy. That’s fine if you don’t have any issues lifting and carrying, but what about if you want to look professional and you can’t lug around a hefty briefcase? You buy the Fossil Haskell Double Zip Briefcase. It only weighs a little over 3lb and is the perfect size for when you need to carry stuff but not too much stuff. There’s a slide pocket with a hidden magnetic strap, along with one zipper pocket, and, of course, the main interior compartment. That compartment has room for your laptop, along with two extra media based pockets for your phone or other bits and pieces. It’s all a sufficient size for carrying the important stuff without going too over the top. Crucially, it also looks pretty nice and is keenly priced. It might not last you decades but it’s still well made for what it is, and has that classic feel to it. 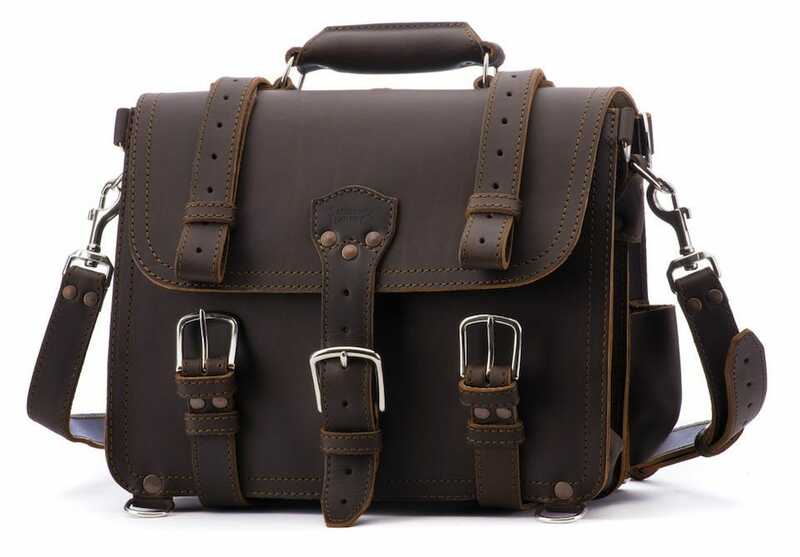 Want a briefcase that looks like something that could have come from pretty much any era in the past few decades? The appropriately named Time Resistance Leather Briefcase matches the bill. It’s pretty straightforward looking but made from sturdy material including hand-dyed full grain calfskin. The interior is lined with leather so your laptop and other items won’t get damaged either. There’s room for up to a 15″ laptop and some files, along with a pocket for storing your phone, but that’s about it so this isn’t a briefcase for carrying your life’s possessions around, but it’s plenty big enough for most scenarios. Reassuringly, there’s a push button closure mechanism that has a working key lock. Most of the briefcases included here offer some extra storage but the Samsonite Vachetta Leather 2 Pocket Business Case Black really thinks things through. Fairly substantial in size, it has the obligatory front and interior pockets, along with a laptop compartment, but it goes a bit further. There’s room for a dedicated pocket for your iPad or tablet, as well as an extra section that’s divided up into pockets for pens, business cards, your phone, or whatever else you could want. It’s useful to keep things separated, especially if you use your briefcase partly for work items and partly for your commute. You won’t have to worry about pulling out a pair of earphones when you need that vital legal brief. It looks pretty stylish in a classic kind of way too. Just don’t expect it to be very light or sleek. It’s bulky.